It’s time for my first installment of Doug DeMuro: Safety Crusader, where I highlight all the pressing safety issues affecting you, a modern parent whose toddler spends each day discovering new and exciting ways to put himself in grave danger. I haven’t always been interested in safety. In fact, just a few short years ago, I owned a Lotus Elise, which is among the most dangerous cars manufactured in the modern era. Many people are surprised to discover how unsafe the Elise is, considering it shares its orange color with safety devices like the traffic cone. What they’re forgetting is that it also shares the traffic cone’s size. Yes, the Elise can be pretty scary. You discover this every time you get inside one, when you go to give the door a nice, hearty tug, only to discover that a nice, hearty tug will detach the door from the car, pull it off its hinges, and send it flying into a field located somewhere in the American Midwest, where your toddler will find it and use it to put himself in grave danger. This happens because a Lotus Elise’s door weighs about as much as a credit card, and you get the feeling it would provide similar protection in the event of a crash. Unfortunately, things don’t get much better once you’re inside. Fire up the engine and you immediately realize that only two inches separate your head from camshafts, and cylinders, and manifolds, and various other extremely hot things that move incredibly fast. This isn’t a problem in most mid-engine cars, but then you remember: those two inches were engineered by the British. Of course, a lot of cars squeak. I once had a Volvo 850 Turbo, for instance, and it seemed like the factory’s entire quality control process involved two Swedish kids jumping on the hood and trunk like inebriated Boston sports fans just to make sure the suspension squeaked enough. And believe me, it did. 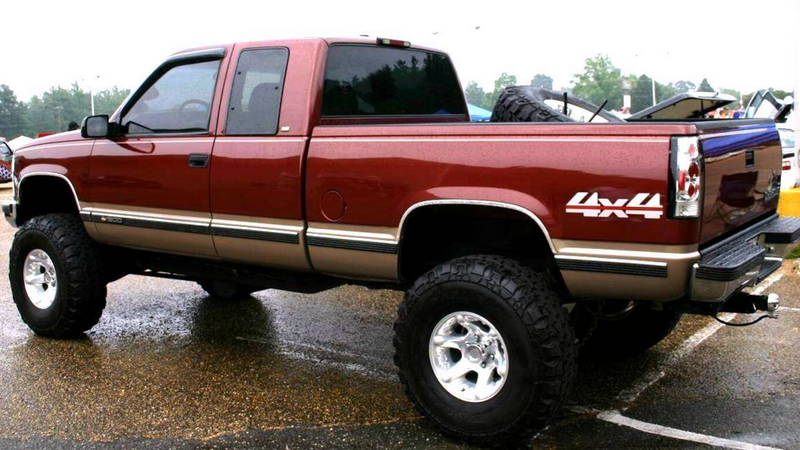 We Americans are very familiar with lifted pickup trucks, largely because we all know at least one person who has one. This is a person we would never invite to a party; a person whose lifted truck parked outside a restaurant we were considering would cause us to eat somewhere else. We don’t like this person, but we know him, and we occasionally laugh about his Facebook statuses with our friends. 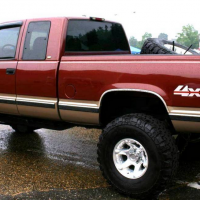 So why is a lifted pickup truck so dangerous? I’ll tell you why. Here’s how it works: to create a lifted truck, you take a normal truck (which was developed for agricultural purposes but is now primarily used to see over minivans in traffic) and you put a “lift kit” on it. I am not an expert on lift kits, but based on my personal observation, they offer sizes like “six inches,” or “eight inches,” or “tall enough to provide storm shelter for a herd of Black Rhinoceros.” That one’s a big seller here in the South. The result is simple: once the already-huge truck is lifted to an even huger height, it goes from “somewhat unsafe” to “incredibly scary.” Not for the people in the truck, mind you. For the people in Lotus Elises, and – if the truck gets high enough – even for people in normal cars, whose head is now directly in line with the truck’s front bumper. At this point, I would explain to my foreign colleagues that most US states don’t have strict vehicle inspections. Yes, it’s true that an automaker must sell a car with certain safety equipment by federal law – but then we, as Land-of-the-Free consumers, are allowed to a) immediately remove it, and b) lose it when it comes time to sell the car. You forgot to mention that most states require lifted trucks to display a sticker of Calvin going pee-pee on the logo of a competing truck maker and/or a team logo for a university the truck’s owner probably didn’t attend. Good article Doug. I have never seen the attraction of making your vehicle MORE dangerous. Now THIS is the type of writing that I’ve been missing from here for so long. I loved reading your book and your posted articles, but aside from the reletive infrequency that new content is added here, you seem to have lost your witty edge for a short while. I’m glad to see that it appears that it has been reloacted! Also, for any content ideas, whats a way we can “contact the editor” here… assuming you’re open to that kinda shenannigans.? I do at least two posts a week! I like to read thru my select few sites at work on lunch (and downtime) but we’re unfortunately sacked with IE7 and they won’t let us upgrade…. so Jalopnik looks all messed up and illegible. I didn’t mean for my post to sound demeaning or disrespectful in any way, if you took it that way. Can’t access that site at work either, claims to be “web hosting”. Bummer. About lifted trucks – agree, these should be BANNED from the road. What is the point of bumpers, impact zones, air bags, etc if my vehicle (which is a low sports car = 350Z) can easily go UNDER another vehicle?!? I can only imagine the last thing I’ll see in such an accident is the trailer hitch hitting my review mirror. Clearly the Lotus needs another article. If the Corvair was unsafe (at any speed they say) I can only assume an Elise is a rolling deathtrap. Based on my experience in Gran Turismo (stop laughing) the Elise is twitchy as crack addict covered in fire ants and prone to oversteer by just looking at the steering wheel wrong. Hey Doug. Having driven through the South, I can safely say you guys have no idea when it comes to Texas and it’s Dallas suburb, Oklahoma. You know, where they makes tha’ oil. You can say whatever you will about our tiny three bedroom $500-a-month homes, but the real money is in the depreciating asset, the $900-a-month truck out front. p.s. – I’ve told prospective young parents that for the first six months, all their child wants is to eat and rest to prepare for the next four years, when their entire existence is devoted to offing themselves like it’s a competition.